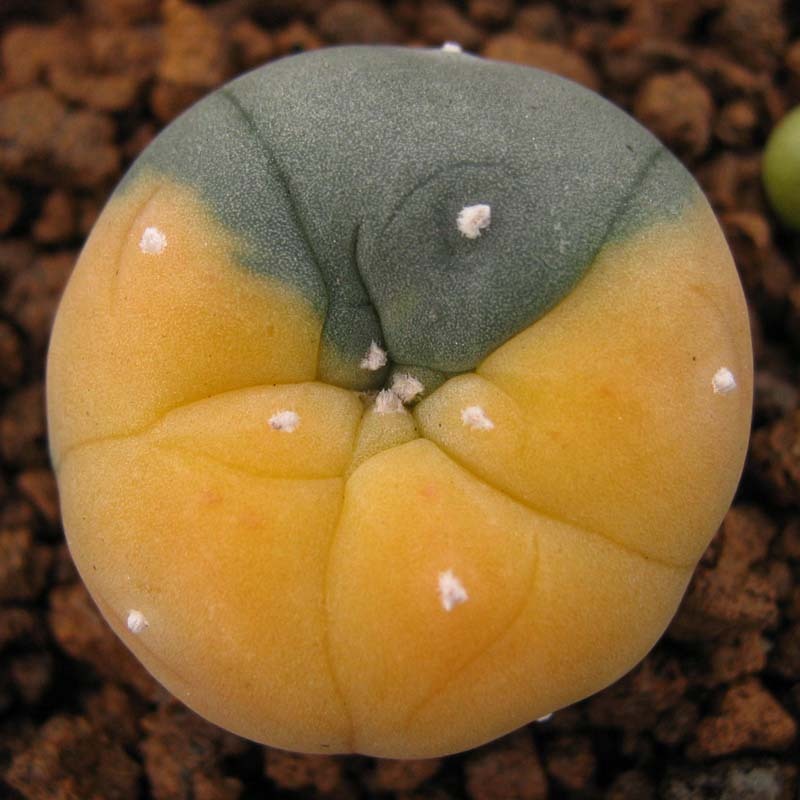 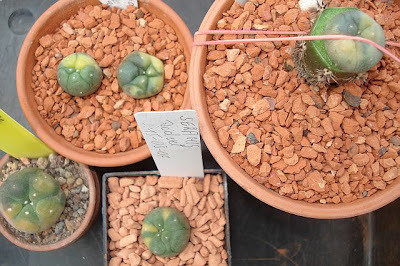 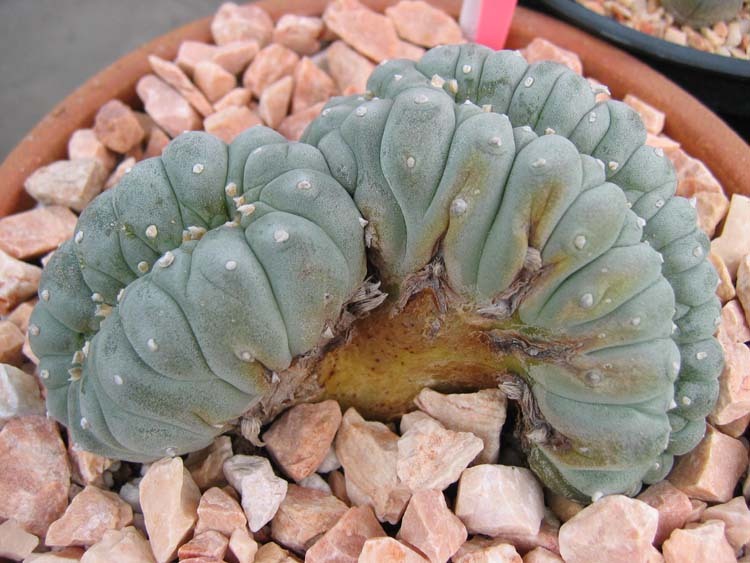 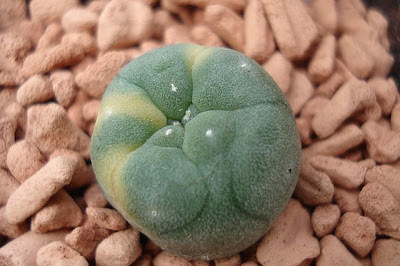 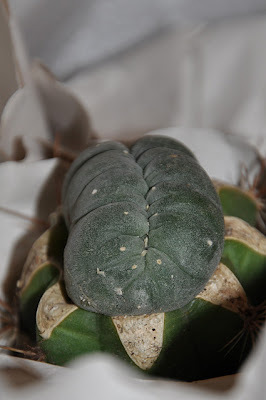 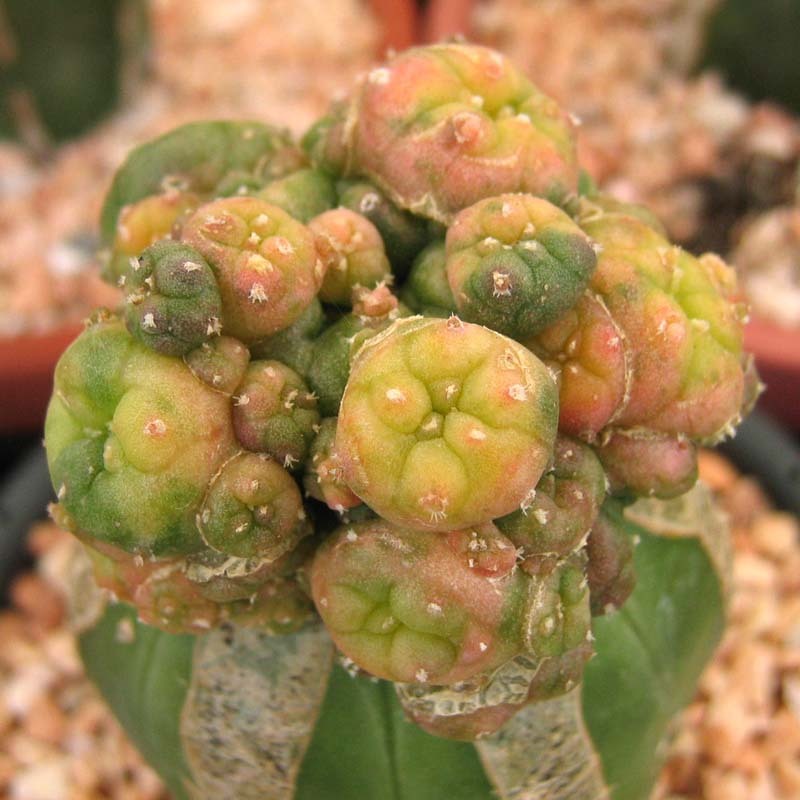 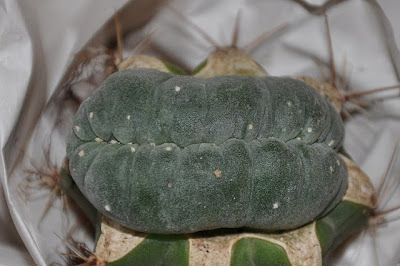 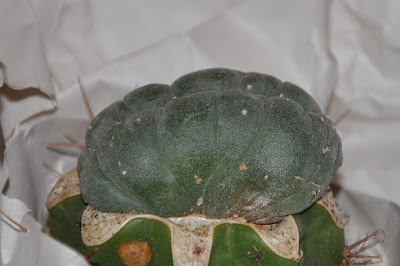 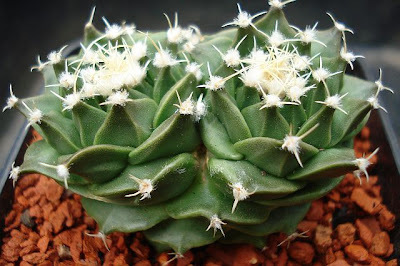 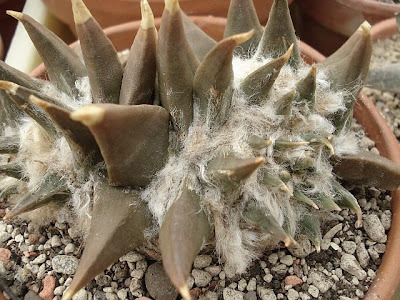 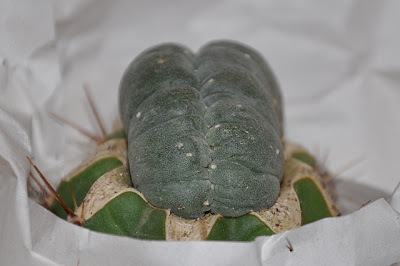 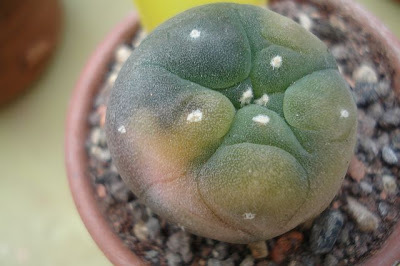 Last Sunday I went on a shopping spree and ordered some Lophophora alberto-vojtechii seeds from Köhres and a Lophophora williamsii f. cristata plant from Cactus Plaza. 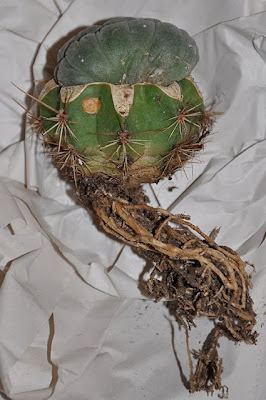 The crested L. williamsii arrived yesterday without a scratch and looks exactly as advertised with a length of 4.2 cm and grafted on a Trichocereus pachanoi stock; the width of the crest is 2.5 cm. 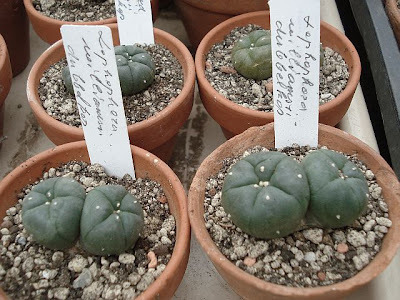 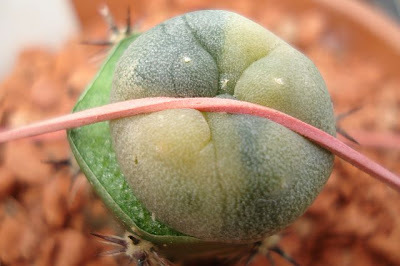 I have never grown fasciated Lophophora before and look forward to follow the plant in the years to come. 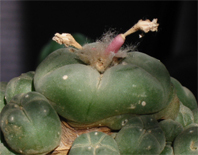 I'm particularly curious to see if the fasciation also affects the flowers or if they develop normally.